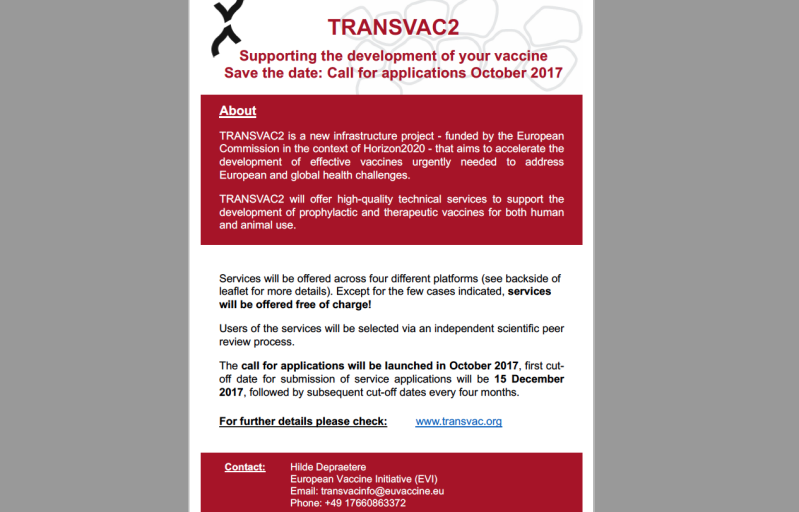 TRANSVAC2 is an infrastructure project that aims to accelerate the development of effective vaccines urgently needed to address European and global health challenges. This short movie explains you what the whole initiative is about. TRANSVAC2 (2017-2022) will support innovation for both prophylactic and therapeutic vaccine development. High-quality technical services across four different service platforms will be offered: Technology (for process development and GMP production), Immunocorrelates & Systems Biology, Animal models, and support for Clinical Trials. Researchers, including those from industry, can apply to benefit from the expertise, reagents, and facilities offered by TRANSVAC2 to accelerate the development of their vaccines. The call for applications is planned to be launched in October 2017. TRANSVAC2 will further accelerate vaccine development by applying cutting-edge technologies to address critical issues in modern vaccine development and thereby increase the quality of services provided. Additionally, TRANSVAC2 will continue the efforts to establish a sustainable vaccine development infrastructure in Europe. 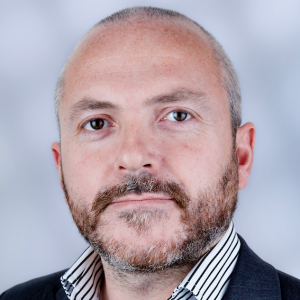 EATRIS involvement in this infrastructure project will include primarily the development of a regulatory platform for preclinical, marketing authorization and pharmacovigilance for clinical trials. In addition, EATRIS will seek to identify inconsistencies in the national regulatory framework while offering consultation for preclinical vaccine development. EATRIS institutions will also organize workshops around these key areas during the project’s lifetime where we hope you can attend as they arise. 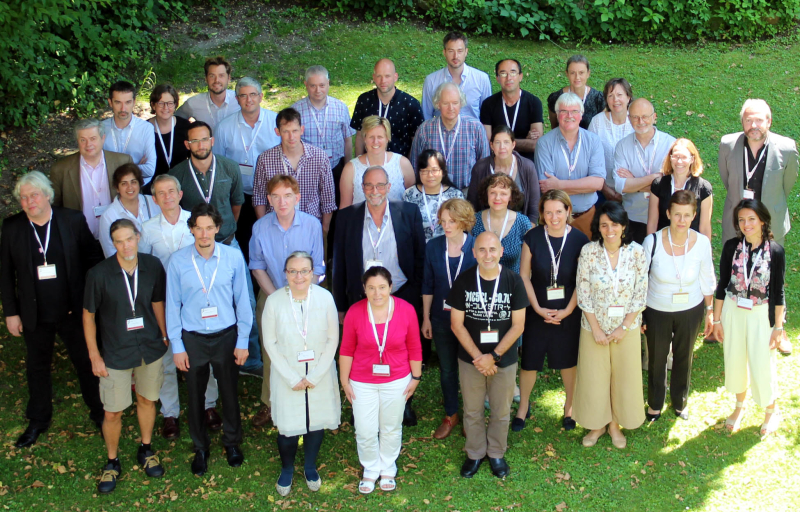 EATRIS institutions have played a pivotal role in vaccine development in recent years including the recent “Innovation Partnership for a Roadmap on Vaccines in Europe” (IPROVE) and EURIPRED initiatives. 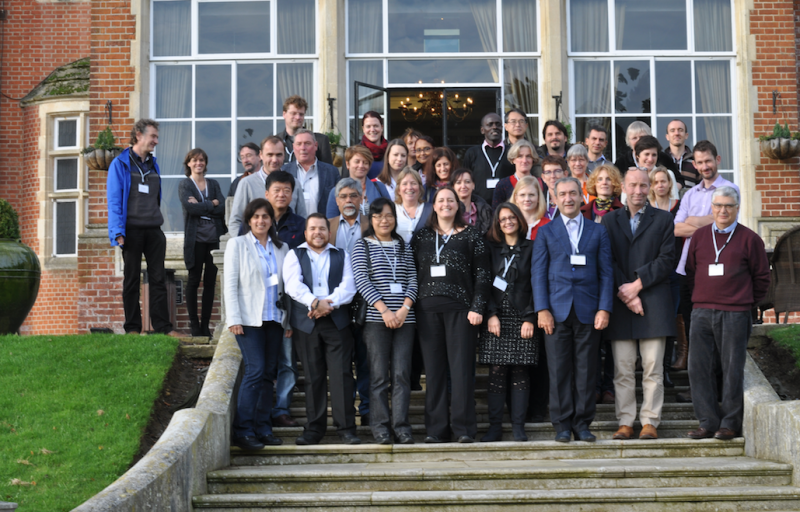 We are pleased to continue to offer our institution’s expertise and technologies to play a major part in this initiative that aims to accelerate the development of effective vaccines urgently needed to address European and global health challenges. We look forward to seeing this new infrastructure develop over the coming years and making a real impact to our society.